The fatal shooting of a teenager is under investigation by Boston Police. Boston Police said a 16-year-old teenager was shot multiple times Oct. 31, on Parker Street. The victim, who has not been identified, was taken to Brigham and Women’s Hospital where he later died. Boston Police Commissioner William Evans said it appeared the shooting was the result of a fight between two groups of people. 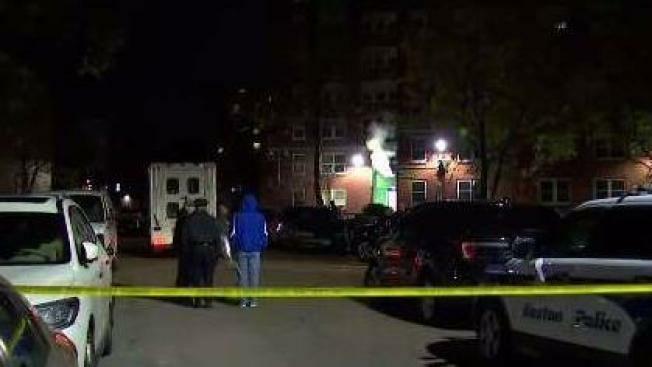 Boston Police are searching for clues in Tuesday night's fatal shooting of a teenager in Jamaica Plain. Authorities said the shooting happened at about 11:47 p.m. in the area of 944 Parker St., near the Boston Housing Authority apartments. When officers arrived on the scene, they found the teen suffering from multiple gunshot wounds. The victim, who has not been identified, was taken to Brigham and Women’s Hospital where he later died. Boston Police Commissioner William Evans was on the scene after the shooting and said it appeared the shooting was the result of a fight between two groups of people. "It looks clearly like an altercation between two groups out here," Evans said. "There’s a lot of shell casings, we are looking for witnesses, we are going to look at the cameras, and hopefully we can find who is responsible." "We have a young individual deceased here and we need the public to step up and help us here, we can’t have this happening in our city," said Evans.